The Labor Day holiday and the need to position freight ahead of Hurricane Florence making landfall in the Southeast and Mid-Atlantic U.S. led to an increase in spot truckload van and refrigerated freight rates during the week ending Sept. 8, said DAT Solutions, which operates the DAT network of load boards. Reversing several weeks of seasonal declines, the national average spot van rate jumped 6 cents to $2.20/mile while the reefer rate gained 8 cents to $2.57/mile compared to the previous week. The flatbed rate continued to decline, falling 2 cents to $2.62/mile. Load board activity typically declines 20 to 25% during a holiday week. Van capacity was especially tight, however, and there was extra demand on the spot market as brokers looked for trucks to move FEMA loads. REEFER TRENDS: Reefer load posting activity had a steeper decline (down 16%) than reefer truck posts (down 6%) during Labor Day week. 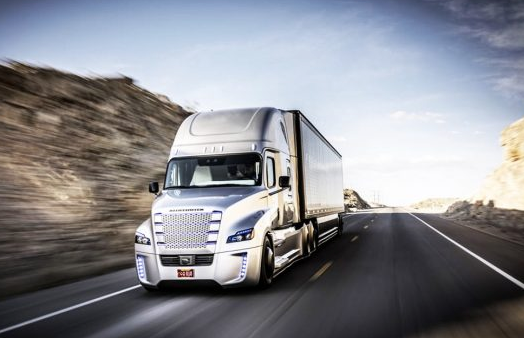 That pushed the national reefer ratio down from 9.2 to 8.3 loads per truck. Dallas ($2.38/mile, up 7 cents), McAllen, Texas ($2.24/mile, up 3 cents), Philadelphia ($3.53/mile, up 6 cents), Elizabeth, New Jersey ($2.41/mile, up 10 cents), and Grand Rapids, Michigan ($3.85/mile, up 12 cents) were among markets with stronger average outbound rates week over week. FLATBED TRENDS: The national flatbed load-to-truck ratio was virtually unchanged at 25.5 loads per truck. Flatbed load posts on DAT load boards declined 17% and truck posts fell 18%, in line with expectations given the holiday workweek.